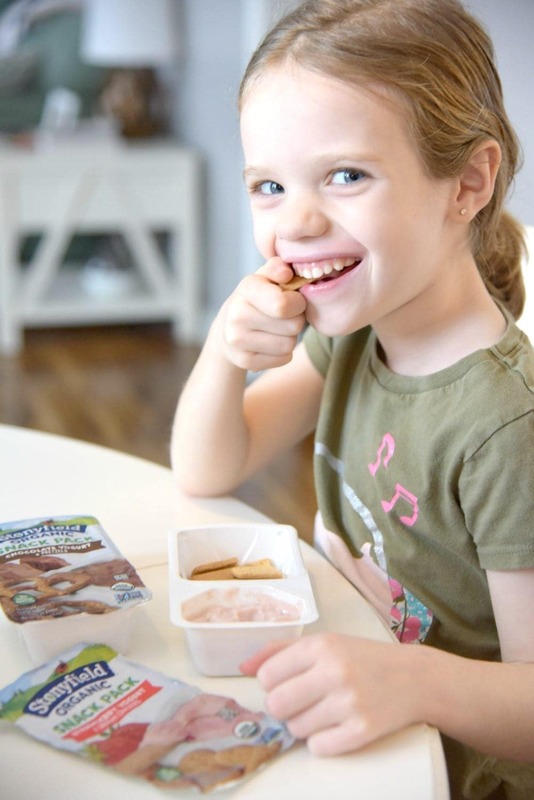 I am excited today to be partnering with Stonyfield® Organic Kids® to show how we make snack time easier with Stonyfield® Organic Snack Packs. Doesn’t it feel like it is so easy to slip into a routine with your family? I’m not saying this is a bad thing. Not at all. Routines can be very beneficial, especially involving kids. But it still amazes me how repetitive everything is every single day, especially during the weekdays. For us, there are two routines. The morning routine and the afternoon routine. Today, I want to talk about our afternoon routine. It all starts when the kids get off of the bus. Both my husband and I work from home and it’s amazing how quickly the house goes from quiet and organized to loud and chaotic. On some days of the week, we watch some of the neighbor kids after school and they all get off of the bus together and charge toward our house. It can be a bit intimidating to see them coming up the street! And always, the first thing they all want is a snack. I’ve always done a pretty good job in making sure I have some quick, easy and healthy snacks for the kids after school. But it can be a challenge to find new things that fit into this category. 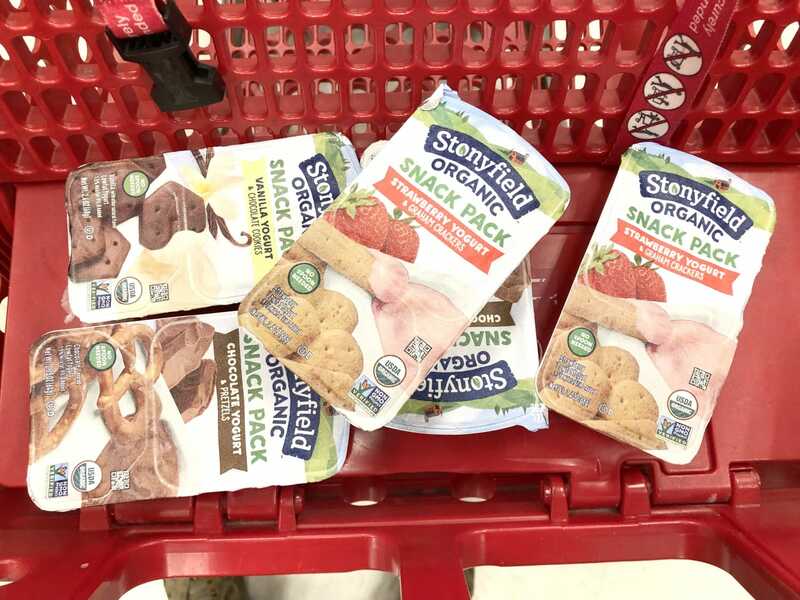 That is why I’m happy to share with you my experience with the Stonyfield® Organic Snack Pack. When you have kids barging into your kitchen at 3 in the afternoon, you want to make the snack as simple and mess-free as possible. 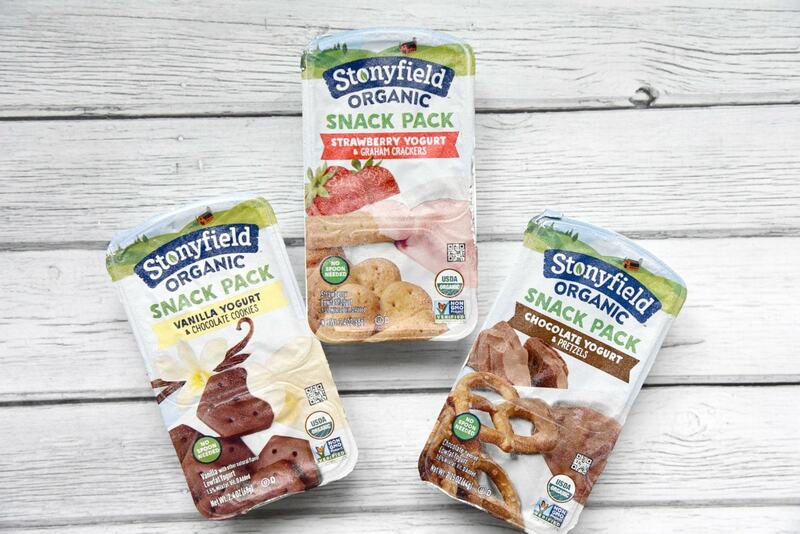 The Stonyfield® Organic Snack Packs are the perfect solution. The kids can just grab them out of the fridge and snack away. They don’t even need any spoons! These are a great option anytime you need a quick, healthy, on-the-go snack. Both of our kids are in sports. So, not only are the Stonyfield® Organic Snack Packs great to grab as we head out to practice, they are also fun to bring for the whole team after games. These can easily become an important part of your and your kids’ weekly sports routine! 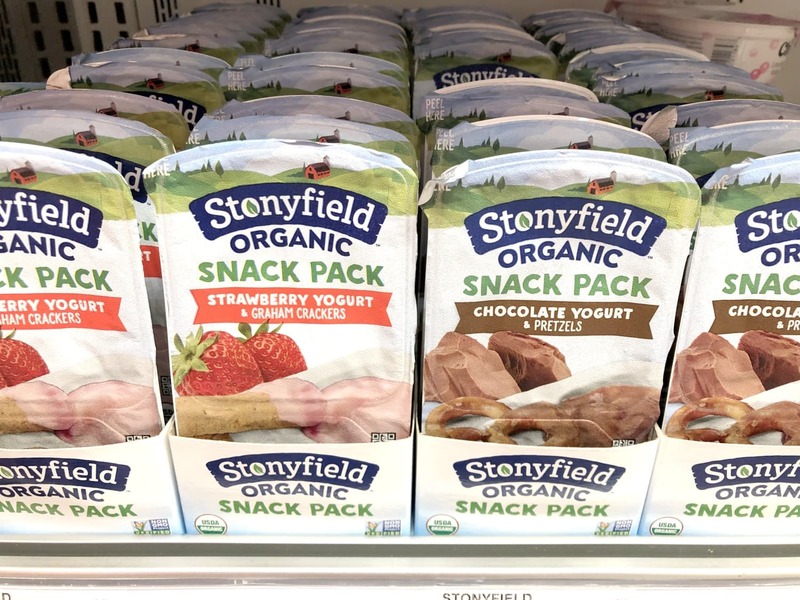 What are Stonyfield® Organic Snack Packs? My daughter’s favorite is the Strawberry & Graham Crackers. My son likes Vanilla and Chocolate Cookie. These snack packs are easy to open, easy to eat and mess-free. And you can feel great about giving them to your kids because they are USDA Organic, Non-GMO project verified and made with no preservatives. They are also made with zero artificial flavors or pesticides. Stonyfield® Organic Kids® is a great company that has been providing quality products to families for years. Not only that, but they have made it their mission to protect many of the playgrounds and parks that our children play in from harmful pesticides! 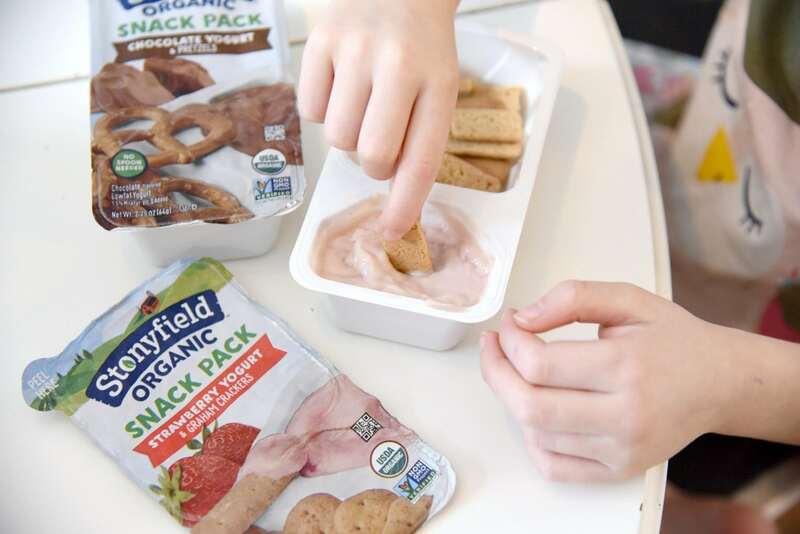 Where Can I Find Stonyfield® Organic Snack Packs? Stonyfield® Organic Kids® has made it super easy to find this product. We found ours at our local Super Target. To find a store near you, use this convenient store locator and grab them during your next shopping trip. Now is also a great time to go out and get your Stonyfield® Organic Snack Packs because you can print out an in-store coupon for $1.00 off! Let’s face it, our lives as parents aren’t going to get any easier. But, with Stonyfield® Organic Snack Packs, things have certainly gotten a lot simpler. And a lot tastier!